GS001: Clergy Stoles with Embroidery Cross Stole Details: -Fabric Polyester -Light Weight -Machine Woven -With bright gold Latin Crosses -With tassel -5 colors are available -90" in length -Fronted ends in Point About our white clergy stoles with embroidery cross: The Clergy Stoles with Embroidery Cross is made of highest quality polyester fabric and finest workmanship. And Embroidered on the side with bright gold Latin Crosses as shown. what’s more, it is Free-wrinkle and durability. There is approximately 90" in length. It is really a good choice to match our choir robes. And there are five different colors for you to choose, and they are all in stock, which can be ready to go. 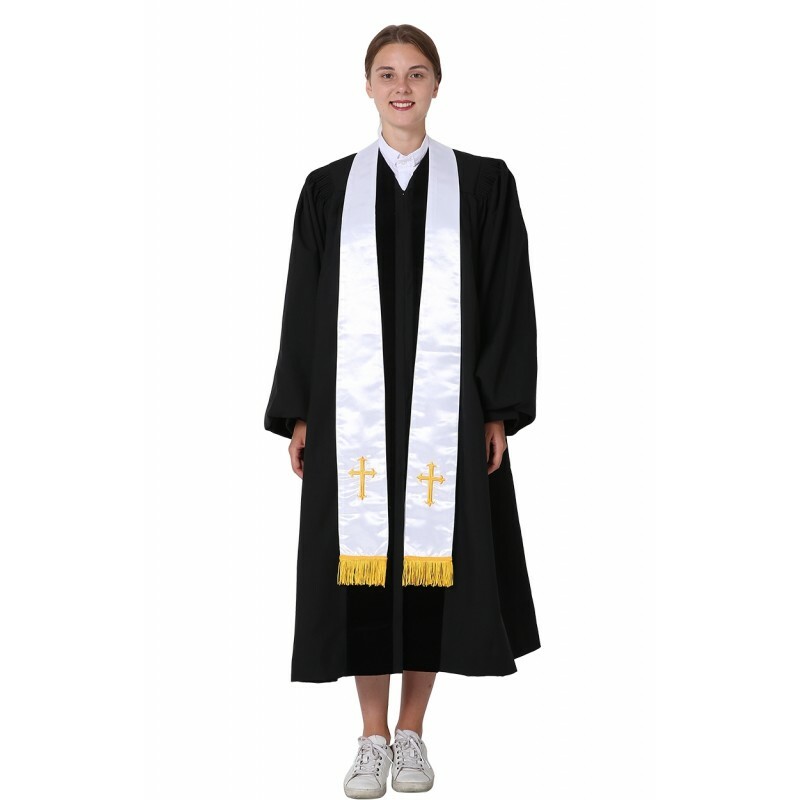 With over a dozen color options, styles, and endless customizations, a clergy stole from IvyRobes is your most versatile and affordable way to give uniformity among your clergy members. A stole or cassock gives your clergy a sign of leadership and unity among the congregation. Therefore, you want the best quality clergy attire at the most affordable price. We give you the best value for your money invested with church attire and accessories. 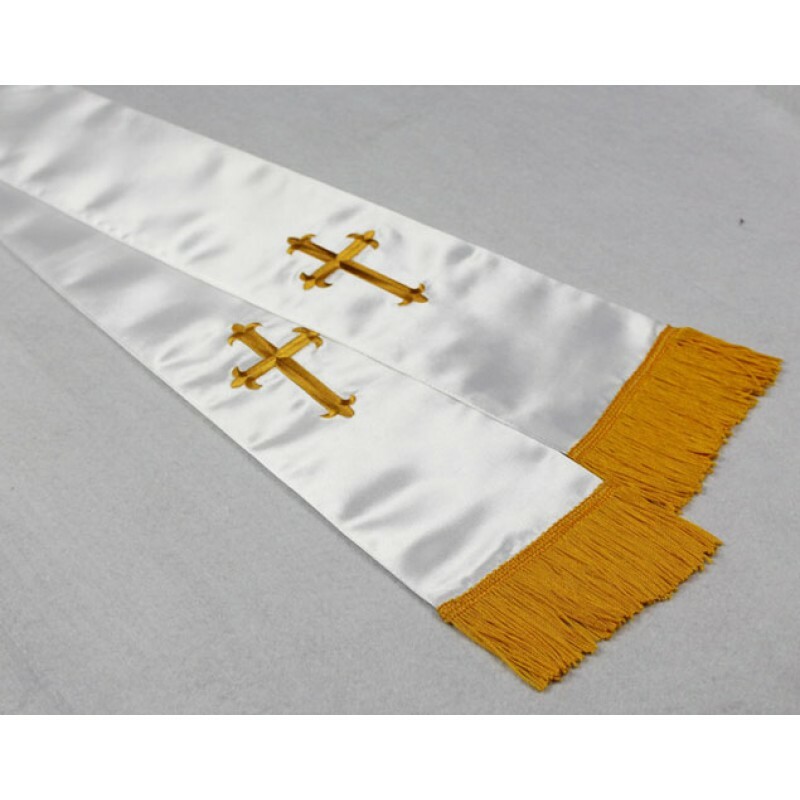 Our stoles are made from top of the line, high quality materials. Having our own manufacturing facility allows us to pass along savings and add value to your purchase, because there is no middle man to pay. We are able to tailor and customize your order to your liking. Our stocked collection is ready to ship next business day. We can even match your existing wardrobe and serve your church needs to create beautiful robes and accessories for your clergy. We take pride in giving you unsurpassed quality, quick shipments and a good price. 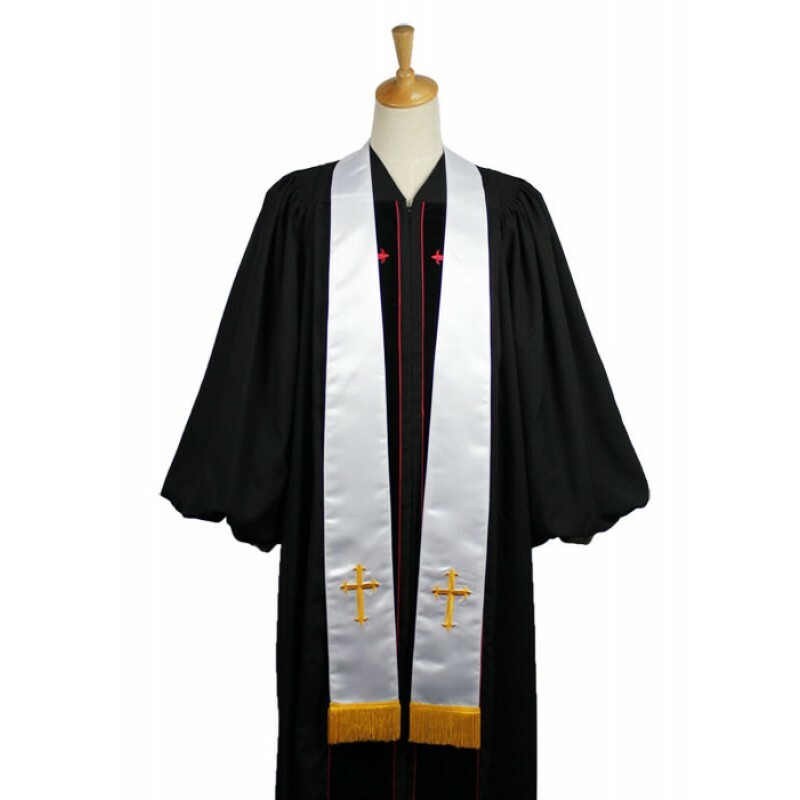 Customers can easily browse through the collections of clergy stoles, robes and shirts. We have been a leader in church apparel and accessories for over ten years. We provide our experience to our customers around the world. We offer the best customer service, and have the best customer satisfaction rate to prove it. We give all of our customers fast order processing and shipping, so you receive your items in a timely fashion. 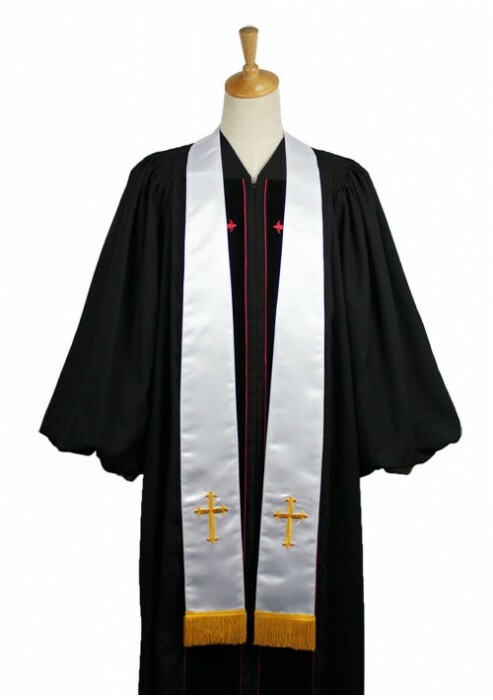 If quality and price are important to you when choosing a clergy stole and other clergy attire, then you will be happy to know that we offer savings whether you need one or one hundred. We take real pride in our exceptional customer service, because we believe that it is important to serve you in a polite and timely manner. After all, you are busy doing God’s work, so it is the least we can do for you. If you want the choir and church apparel that is priced right and made with quality materials and craftsmanship, then you are sure to love the affordable prices and great products at IvyRobes. We are an exceptional choice for your needs, with a vast selection of attire and accessories to choose from, the ability to customize your order, and fast order processing and shipping – all while remaining within your budget. Order online today, and do not hesitate to contact us with any questions or concerns you may have. Please browse our wide selection of church attire and choose the clergy stole that works best for your needs today.